you that your January fitness kick didn’t have to be that way? Pounding away on the treadmill night after night may be some people’s idea of fun (we don’t know who), but for those of you who can’t bear the thought of the gym why not start a new sport this year, to give your body a good workout while enjoying something completely different… Have you ever considered polo? 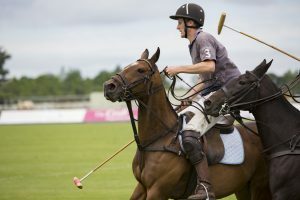 While commonly known as the ‘sport of kings’, starting out in polo can be much more accessible – and less costly – than you might think, and can be the perfect way to get your body moving as 2019 gets underway. Whether you are looking for a bit of fun or serious competition, polo might be just the sport for you. Tuition is offered at Dallas Burston from Polo Manager Huw Beavan, a polo player and coach with over thirteen years’ experience. Everyone is welcome to learn the sport, whether you have prior experience on a polo field or have never ridden a horse before! And you certainly don’t need to own a horse in order to play. 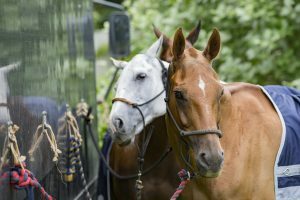 The club has a number of school ponies available for lessons, which have been specially selected to accommodate a wide spectrum of ability. sport, and perfect as a fun day out with friends, family or colleagues. With the range of school ponies available groups of varying experience can learn and play together, giving you no excuse to not join in, even if it’s totally new to you. Although polo is often associated with the summer, with snaps of sun-drenched outdoor polo matches often filling up our feeds during the summer months, the arena season, which runs from October to March, is actually the recommended time for those new to the sport to give it a go. With the arena enclosed there is less interference to distract you, and with a bigger ball you will pick it up all the quicker. If you’re worried about the get-up needed – don’t be. At Dallas Burston Polo Club all that is required is a pair of jeans and boots with a small heel – the rest is taken care of! To find out more or to book your first session contact Polo Manager Huw Beavan on 07739 531 009 or email.